Look at it—isn't it beautiful? I've had my first article published by Thrillist Portland! 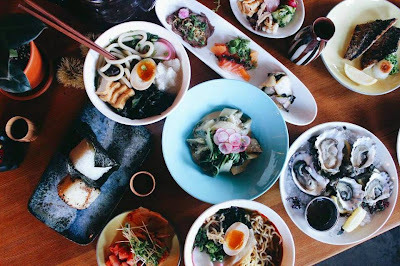 To kick things off, I went on an investigative drinking and meat-on-a-stick-eating journey into Portland's dark, umami-saturated Japanese taverns, izakaya. I found the best pork-belly preparations and wasabi-flavored cocktails and a surprising quantity of delicious fried chicken. Writing for Thrillist.com opens up new terrain in terms of voice, and I've always liked its irreverent but dead-on take on food and culture. My next article will be up soon!